With the majority of the wiring laid in, it’s time to start neatening everything up and to make it all presentable for the MSVA. One of these steps is mounting all the fuse boxes. I am lucky to have a very nice chap who runs a jigsaw business, all hand cut and mounted on wood, and I asked him to make a mounting board for the fuse boxes. This board was then painted and I mounted the fuse boxes to it. The fuse boxes are for various various systems, with the normal ACC, a permanent live and a lights box. 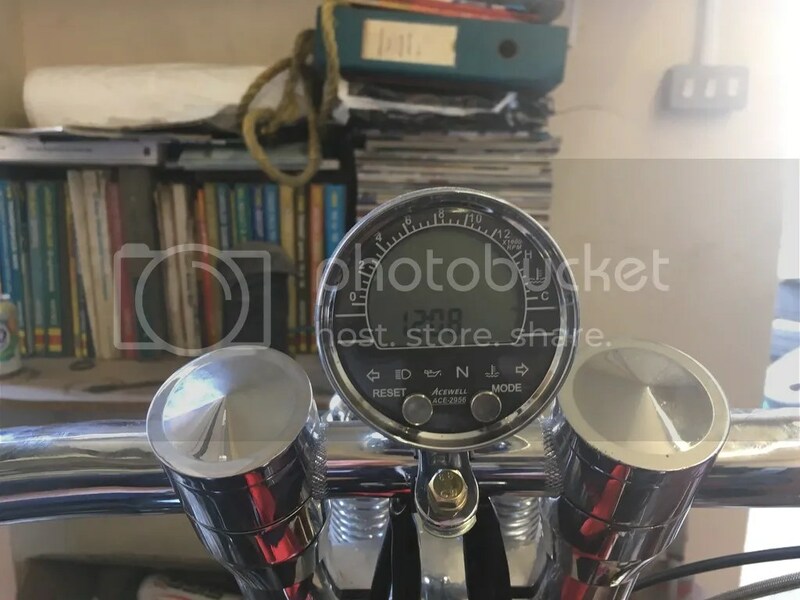 From this point I have started to connect up the speedometer (an Acewell 2956) including the battery backup, the main power, background lighting and engine indication. I will have a separate post about this lovely bit of kit, having a closer look at its functions and the various installations. But whilst waiting for that here’s a pic of the Speedometer with power for the first time. 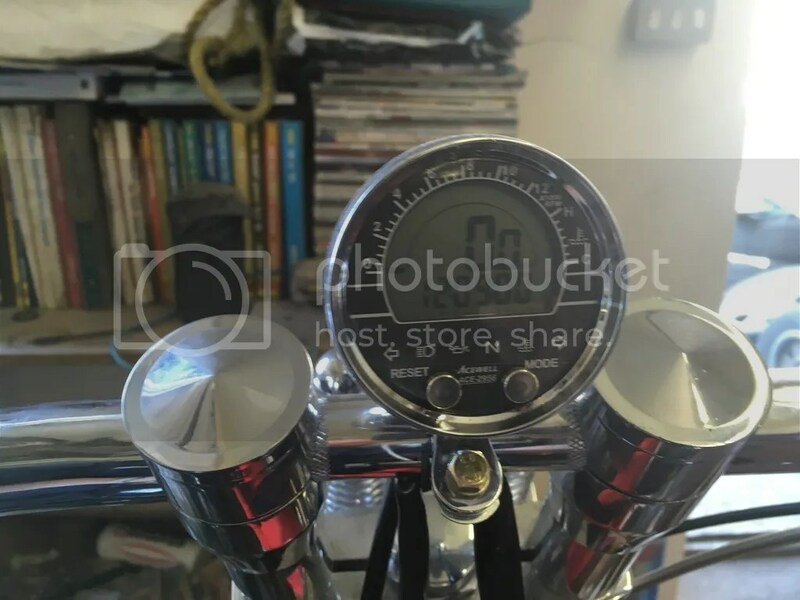 As can be seen this indicator contains the idiot lights, as well as the usual speedometer, RPM and clock functions. 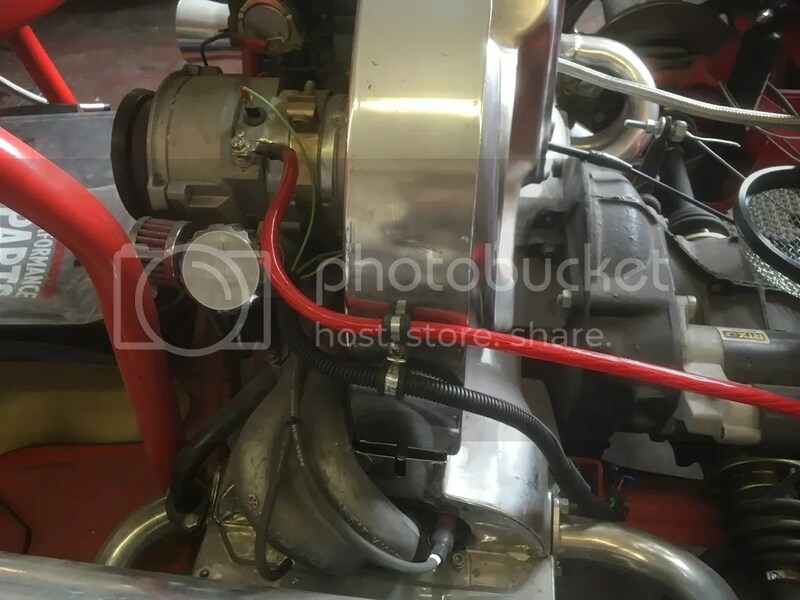 I also managed to neaten up the back of the trike by fixing the engine wiring and the main feeder cable and preventing them from flapping around and touching anything hot. I still have to affix the electrical to the trike side but I should get this done shortly. 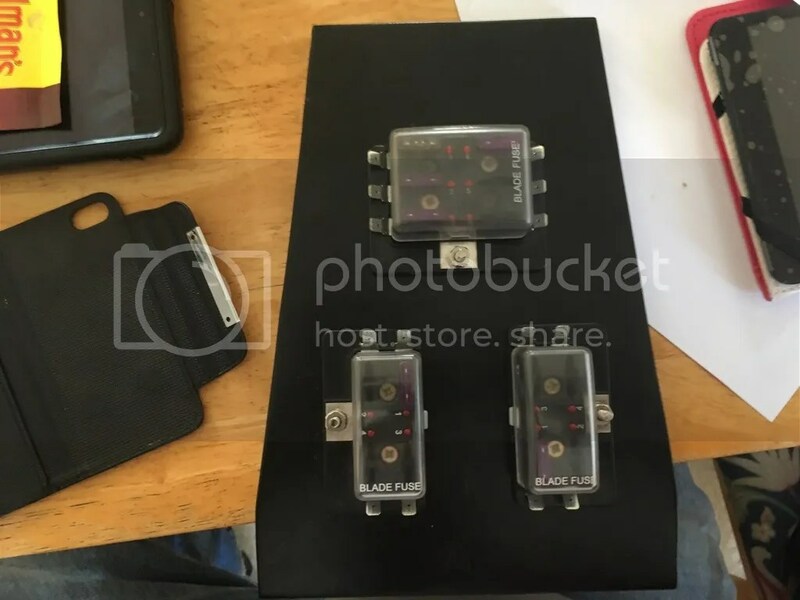 This just leaves the lighting circuits to complete and the installation of the anti theft devices and this will be the electrical system completely done. Hopefully next time I will take a look at the final parts of the rear wheel arches and lighting, as well as the front mud guard installation. Tanks for the Memories Go Go Juice Required!